Thanks to the village administration and the village crews that cleaned up the debris from the recent major storm that caused material damage in Paulding. Read all the details on the new development on the removal of the debris and asbestos contaminated material from the site of the Barnes Hotel fire in tomorrow’s, 7/25/12, edition of the Paulding County Progress. The removal of the debris from the hotel fire is now projected to be completed by end of October, hopefully, if not maybe sooner. Tests determined the site has asbestos in the debris. Due to the addtional costs with the asbestos cleanup being performed by a licensed asbestos removal company the cost projection requires the cleanup project be advertised for bid. The debris in the basement will be excavated and the foundation walls left in place to provide support for adjacent buildings. the area will be filled with soil and seeded. We. are about there. The trip has been interesting as well as educational. It will be great to have this blighted site removed from our community. Building on same 1/4 block of Perry St.
Again, we are behind the curve. 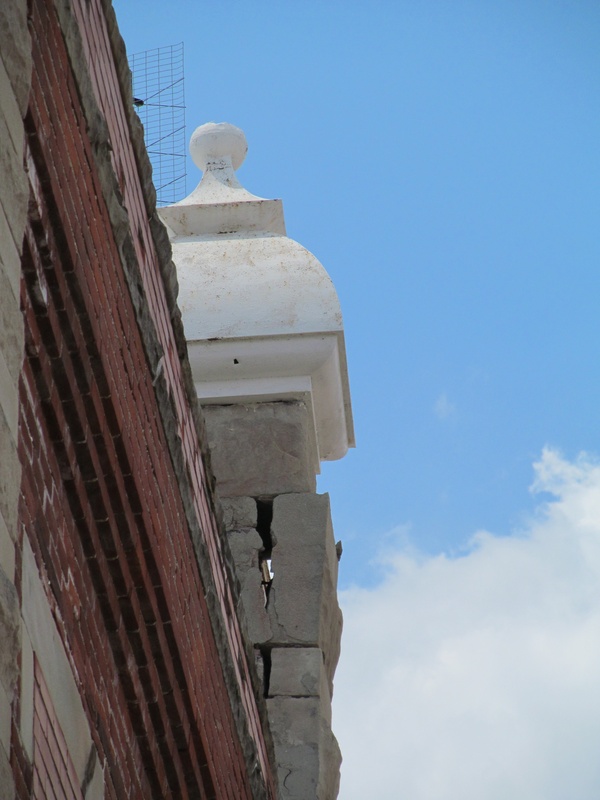 A building maintenance ordinance was advocated 4 years ago. 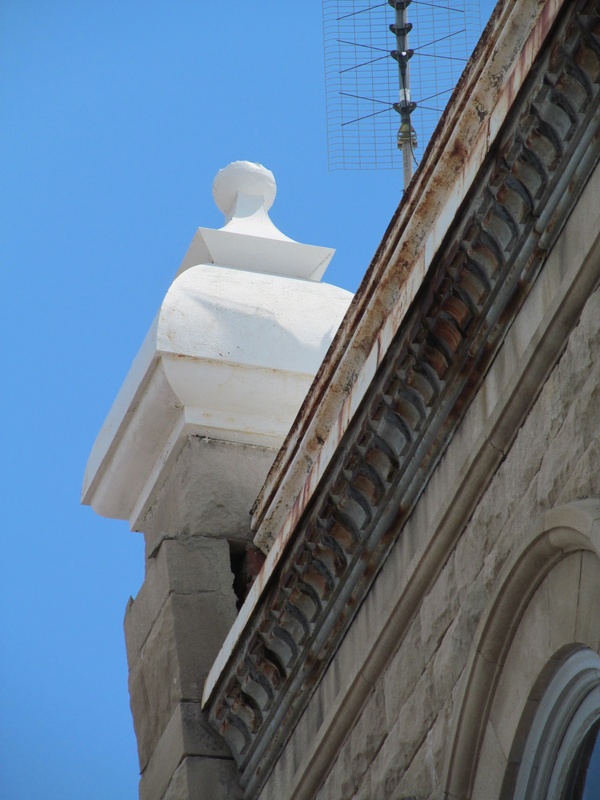 Realizing the situation of absentee ownership, lack of occupancy, disregard for responsibility to adjoining building owners, and public safety, were reasons to have the ordinance – other towns have this type of ordinance. 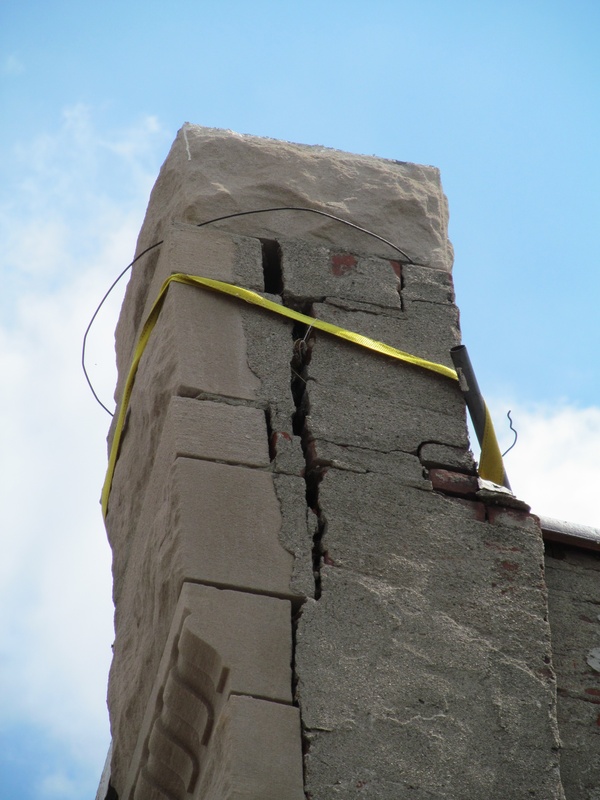 Mortar joints have been slowly disappearing for several years, the recent storm most likely caused stress on the joints. The joints below these areas in the pictures are in similar condition and need immediate repair. We govern by crisis rather than being proactive. Update on the new park in downtown Pauding. The village has acquired the old Certified gas station site and has presented the Paulding Chamber of Commerce a long-term lease agreement that is being currently reviewed by the Chamber. Once the lease is approved the building and canopy on the site will be demolished and removed. A professional landscape design has been approved by the Chamber – you will be so proud when the project is complete. The park will provide a place to relax and enjoy a garden setting. Hopefully the proposed site drawings will be published soon. I am sure the Chamber has other activities that will be made available to the public at the park. This project will change the entire downtown environment and will, I believe, be a catalyst to further downtown improvements and development.